Japan is one of the most important economies in the world and it attracts thousands of foreign investors from every corner of the world every year. In order to do business in Japan, a foreign entrepreneur is first required to register a company in Japan. 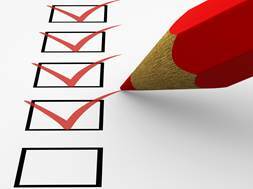 Luckily, one can choose among the business forms which fall under the governance of the Company Law. Foreign investors benefit from the same rights as local ones when it comes to company incorporation in Japan, therefore it is quite easy to set up a business here. Below, our company formation specialists in Japan explain how to register a business in this country. - subsidiaries and branch offices are business forms available for foreign enterprises. - the business licenses which need to be obtained, based on the industry to operate in. Our local agents can help foreign investors interested in starting a business with the company incorporation procedure in Japan. We can help with the preparation of all the documents needed for registration and their filing with the Trade Register in Japan. What is the minimum share capital of a company in Japan? The Japanese legislation doesn’t require a minimum share capital at the registration of a limited liability company. The new Commercial Code, introduced in 2006, has abolished the former law, which stipulated that a joint stock company in Japan must deposit a minimum share capital. Now, every entity may establish this type of business without minimum share capital. Investors interested in starting a company in Japan can also open a partnership, either a silent partnership or a general partnership. Are there any specific requirements for establishing an international business company in Japan? A limited liability company in Japan is a form of business chosen by small and medium businesses. The members are liable only to the extent of their contribution to the company’s capital. Unlike the joint stock company, all the members of the company may represent it, until a manager is appointed. Their contribution can be made in cash but also in non-cash assets. It’s mandatory that all the company’s members must be in favor of a certain decision to make it applicable, such as the articles of incorporation’s amendments, the transfer of ownership, transforming the limited liability company into a joint stock company or liquidate it. Our company formation experts in Japan can assist businessmen in every procedure mentioned above, from drafting the articles of association of a new company to liquidating an insolvent company. - a trade name must also be reserved no matter the chosen business form. 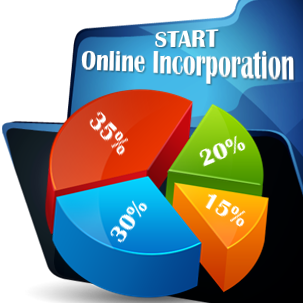 The preparation of the incorporation documents implies having them drafted and notarized prior to their filing with the Companies Register. 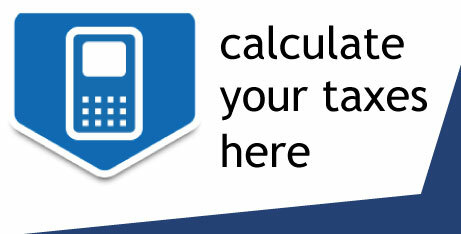 - registering for tax, VAT and social security. The registration procedure is completed within approximately 6 weeks, as it also implies applying for certain business licenses depending on the industry to operate in. When it comes to the costs of registering a company in Japan, a foreign investor should know that some of the procedures can be completed free of charge. Among these are the reservation of the company name, the registration with the tax authorities and obtaining the VAT number. Registering for social security purposes and obtaining the payroll and the approvals for tax returns are also free of charge. The company registration fee will imply paying 0.7% of the share capital. The company seal will also cost around 10,000 JPY. Japan is one of the most prolific economies in Asia and the registration of a company here will bring many benefits especially to those interested in high-tech industries, however, traditional industries such as manufacturing and electronics still remain among the most attractive economic sectors in Japan. What are the taxes for companies in Japan? The standard corporate income tax rate in Japan is 23.4%. Those who open a company in Japan will also pay the local inhabitants tax and the local enterprise tax, both imposed at a local level by the municipalities or prefectures and may vary according to the size of the company. a 20% withholding tax applies on dividends, royalties, and interest. The real property tax, stamp duty, and social security are other examples of taxes payable by companies. Japan has signed many double tax treaties with countries worldwide. These provide relief from double taxation on most types of income, provided that the corporation derives income both from Japan and from another country with which a treaty is signed. Investors who are considering starting companies in other countries, for example in Belarus, Uzbekistan or even in offshore jurisdictions such as, the Isle of Man or the British Virgin Islands, can receive company registration services from our partners. How can I register for VAT in Japan? The equivalent of worldwide VAT in Japan is the Consumption Tax, which is imposed at a rate of 8%. The classic registration for CT is not mandatory for the companies; the Tax Authorities check the first tax filing and determine if the company is a CT taxpayer depending on the taxable sales during the fiscal year. Domestic transactions such as transport services offered in Japan are subject to the consumption tax. The CT is expected to increase to 10% in the coming years but at the same time, a reduced rate of the current 8% will remain in place for certain goods. In order to open a corporate bank account in Japan the following documents are usually necessary: the company’s registration documents, the company’s representative’s name and address, a Hanko (which is the official seal of the company), recommendation letters from another bank, from a lawyer or from an accountant, and utilities bills which prove the residence of the company. Our company registration consultants in Japan can help you set up a corporate bank account. How can I recruit personnel in Japan? The workforce from Japan consists of well trained, educated and loyal employees. The government offers incentives to companies that hire disadvantaged personnel (old workers for example). After hiring, the companies must elaborate carefully on the employment contract, since the law is very advantageous for the workers. The personnel may be recruited with the help of the recruitment agencies or by posting ads in a newspaper or on specialized websites. The average salary in Japan is around 320.57 JPY thousand per month, depending on the business field and qualifications. What is the overall economic situation in Japan? Even though lacking land for cultivation or consistent natural resources, Japan is considered one of the major economic powers of the world. The small cultivable areas have a terracing system, thus assuring the world’s highest level of harvest per unit area. Almost 15 % of the Japanese territory is cultivated this way. 50 % of Japanese imports consist of grains and meat. The local fishing industry is highly developed. The industry and the manufacturing sectors are very developed, especially sub-sectors like electronics, machine tools, ships, chemical substances, and motor vehicles. The main export partners for these products are EU, United States of America, Hong-Kong, etc. Many financial services companies are located in Japan and large foreign corporations have branches opened in Japan. 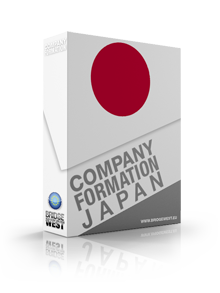 Foreign investors who are considering starting a company in Japan or expanding their businesses in this jurisdiction can benefit from our vast experience in company incorporation cases. Please get in touch with our company registration agents in Japan who will help you establish your business in the country as fast as possible. No matter the chosen business form and the industry one decides to set it up in, our company formation agents can guide foreign entrepreneurs during the incorporation procedure. They can also rely on us for assistance in registering for taxation, but also with accounting services for easier integration on the local market.